See Recipe Girl's take on Meyer lemon loaf from this cookbook. This dough is pretty much perfection. Instructions are detailed. Makes enough dough for 3-4 tarts, excess pastry can be frozen for later use. This lemon cream is perfect - will make again despite the effort required. I made this recipe because I had the ingredients at hand and it looked interesting - it's a rice pudding tart with peppered strawberries to decorate. 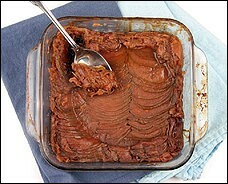 I thought this was ok - preferred the base to the topping - but would make alterations if trying again. 1999 IACP Award Winner! -- Cookbook of the Year! The first cookbook in English by the greatest French pastry chef. 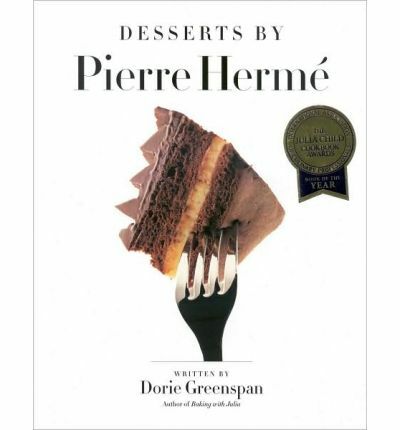 Pierre Herme is acknowledged to be the greatest pastry chef in France, and at long last he divulges his recipes for more than one hundred divinely delicious and stunning desserts - many surprisingly easy to prepare. There are cakes, cookies, tarts, sweets for special occasions, and traditionally holiday creations. His chapter on dessert fundamentals, such as perfect tart dough, buttercream, and meringue, will prove indispensable for any baker.